I consider Millet Khumbu the best traveling backpack I have owned so far. Being made of Cordura (new models of Kodura) it is very durable. It also supports your back very well, even fully loaded. I have been trekking with close to 30kg with no problem with it. One attribute I consider essential for a good travel backpack is many external compartments, which I especially like about Khumbu. 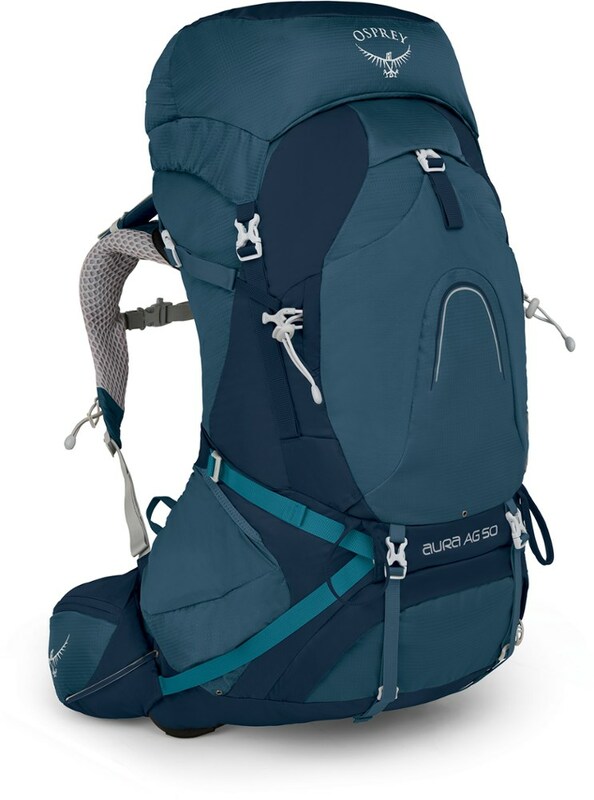 I would recommend this to anyone looking for an all-in-one use backpack for longer travel/trek. The material – for me, there is no compromise here. I would not chose any other than Cordura, or one of comparable durability. Many great companies use their own materials, some of them good, some not so much. Too many times have I seen the special fabrics torn by the famous “care” of airport baggage handlers. The Cordura on Khumbu holds firm, though. Nowadays they changed to using “Kodura”, which, judging by the name, is similar. Number of external compartments – one of the most important features for a traveller. Some might argue the more you have the more difficult it is to find stuff. Not true! It does not take that long to dedicate compartments to particular things, and once you do, it is just so much easier to reach. Number of internal compartments – I have never seen more than two, and that is what I would go for. A single one is just not convenient enough to reach your equipment. If you find one with the option to open the whole front or back side, all the better for you. Shoulder straps – take a good look at them. They need to be soft enough while keeping strong and durable to withstand heavy load. The buckles attaching the straps to the backpack tend to break, or the knitting might get loose, so take a good look at that too. This is where Khumbu does not excel - I had to attach the straps one buckle higher up the backpack, as the lower ones begun to unweave. The good thing is, they have an extra set of buckles for a bigger man/woman, but it is just not so comfortable to use now. Anyway, this happened after about 5 years of use, and it is not beyond repair. Waist-belt – also very important for long journeys. As with the shoulder straps, there are two attributes to look for: durability and comfort. While Khumbu features durable enough waist-belt, one buckle have just recently broken on mine. It does not prevent it from usage, however it does not serve the purpose perfectly. 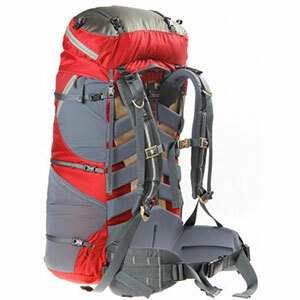 Also, the feel could be improved, as it's made a bit on the strong and tough side, which could cause abrasions and bruises on your waist after couple of days of extensive use. One more thing to look for is the size, which might not fit slim people well. Sometimes I get an impression the waist-belts are made for people with elephant-sized bellies. Carry system – in my opinion, this is just big words for no use. All the companies tend to give their carry system technologies very fancy names, while the only thing you need to look for is adjustable size. However ventilated, you will sweat and your back will get soaking wet after couple of hours. So, do not give any credit to the “special air flow” systems of whatever kind – I have never seen one that stood up to its fancy name. 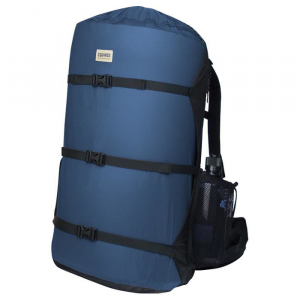 Khumbu features so called “Tubular Carry Back” system, which holds well and is fully adjustable in height. It tends to loosen up, but that is not a big issue. 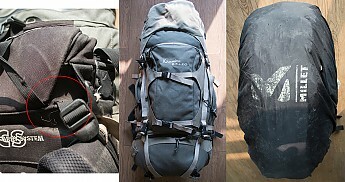 A welcome improvement would be a flexibility to the sides, which I have seen on one other backpack (I think this was Black diamond), and found it to be very useful. Also, the “Tubular” system tends to be a bit hard on your back after a few years of use. Upper lid flap – some smaller volume backpacks tend to have the them fixed tight, which is not so convenient in case you pack your bag full. It is worth to look for an adjustable, if not fully removable one. 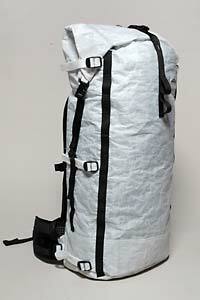 Khumbu has the latter, even though I don't think you could use the flap as a smaller backpack for shorter trips. Rain cover – not essential, however very useful as a minor scratch and tear protection. When it comes to a heavy rain, though, it fails its purpose. In any case, it is good to have one. Size – backpack is not like shoes. You can buy it without trying. However, it is important to check the length of your back, especially if there is no possibility for carry system length adjustment. You do not want your backpack preventing you to look up for some falling stones ;). Volume – while this is really individual, I would recommend the 55+10. 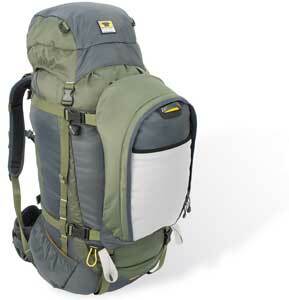 The volume is usable for both a week-long treks as well as a year-long travel. In addition, there is still enough space for presents (remember never to pack full when you go abroad!). Weight – when it comes for trekking, every gram counts. 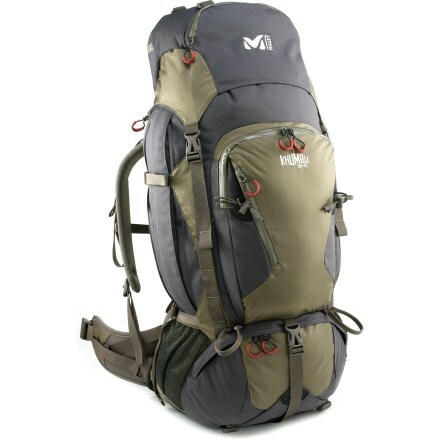 Millet says the new Khumbu weighs 2.3kg. I am not sure whether they have reduced it in the new model, or it is just a feeling, but mine sure feels heavy as hell. Anyway it is a good thing to check - you certainly don't want to go over 3kg. Overall durability – Corduda does a great job. Khumbu has made it through some tough trips all over SE Asia, including trekking in Nepal, with no scratches, tears cannot even be spoken of. Much of the credit here goes to the rain cover I have been using at all times. 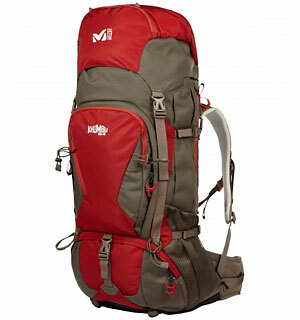 The Millet Khumbu 65 + 10 is not available from the stores we monitor.